&tradition is a Danish design company established in 2010 with the founding principle being tradition tied to innovation. Our unique library of furniture and lighting spans from the 1930 ́s to the present day and includes designs by internationally renowned designers. We challenge convention to create objects that rethink how we use materials and manufacturing techniques. We find beauty in objects that can be created by the latest industrial processes as well as those that maintain techniques that have evolved over a long time. We push materials to the limit of their potential and reconsider how they are processed to create a new aesthetic. We strive for timeless beauty and quality that is born out of tradition and revolution. We connect with the old masters while giving space to new designers to define future classics. We see a kinship between the old masters who were avant-garde in their time and designers of today creating the ground-breaking icons of tomorrow. In 2018, we celebrate the centenary of Jørn Utzon’s birth by inviting Studiopepe to do a limited edition of the Utzon pendant in a contemporary colour scheme – honouring Utzon’s play with colour and highlighting the lamp’s relevance today. Unveiled in 1947, the Utzon lamp was actually designed more than a decade before Utzon created his masterpiece, the Sydney Opera House. 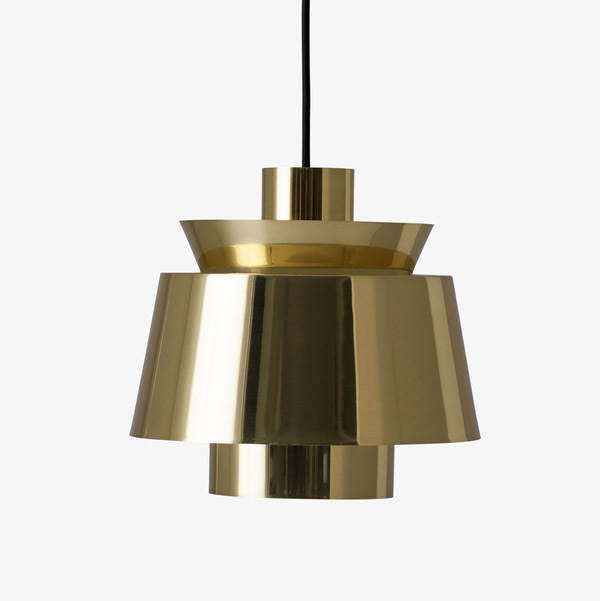 The lamp was inspired by his father’s naval engineering drawings of ships along with light. With curves symbolic of the ocean waves and the bulb much like the moon to navigate ships, the affinity between the lamp and the opera house is exemplified by Utzon’s organic concept of architecture and expressive sculptural style.